It’s one of the most popular Mud Masters obstacles, but at the same time also one of the most difficult: the Monkey Bars. We’re giving you three tips for a dry passage! 1. Train your gripping strength. Train your gripping strength and get used to hanging by your own bodyweight. Hang on a bar (or an alternative, such as a football goal or playground equipment) and build up your hang time. As soon as you can hang for 30 seconds non-stop, open your hands alternately. Try to make this a ritual and fit it in after every training. While hanging on the Monkey Bars, keep focusing on the next bar. Don’t think of anything else. Bar by bar, you’ll get to the other side. You can do this! 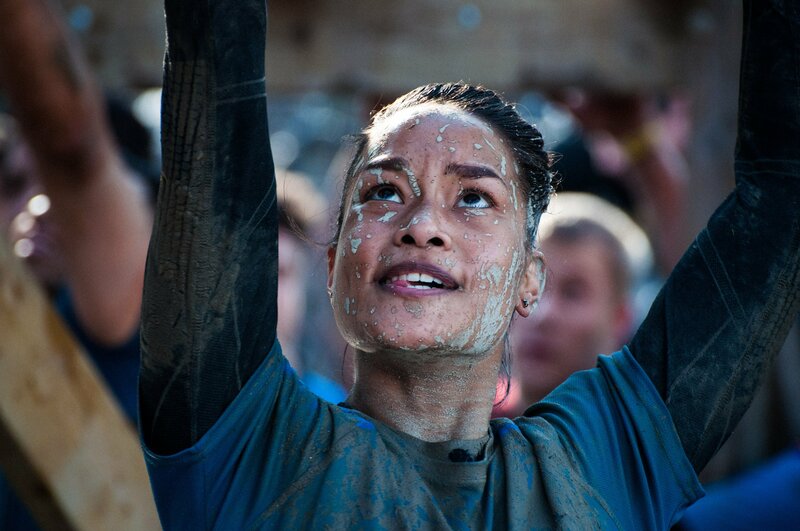 Good luck with training for your next Mud Masters challenge! Training schedule: Fit for Mud Masters in 4 weeks! Rope Climb X: Qualification is open! ​​NEW: Rope Climb X Open World Cup! Haarlemmermeer 2019: Registration is open! The 5 greatest teamwork obstacles!